CITY of Kwinana is bringing back the Living Green Environmental Series to inspire Kwinana residents to go green. Living Green is a series of environmental activities and workshops running over the autumn season. The workshops feature a seven week Living Smart course, community planting days and the City’s Living Green in 2018 event. The Living Smart workshop series will inspire residents to make sustainable changes in their home and community. The course is fun and interactive, with plenty of opportunities for sharing. Each course is tailored to the needs of participants and includes information and handy tips on waste reduction, simple living, energy and water conservation, growing your own food and more. For Living Green in 2018, Wandi Hall will be filled with stalls and information on switching your thinking, solar panels, waste, advice on plant choices and designs for your garden and owning chooks. Kwinana residents will also be able to purchase a local native tree, a shrub and wildflower seedlings for just $1.50 each thanks to a subsidy from the City. Mayor Carol Adams said the environment was one of the top priorities identified in City’s Strategic Community Plan. 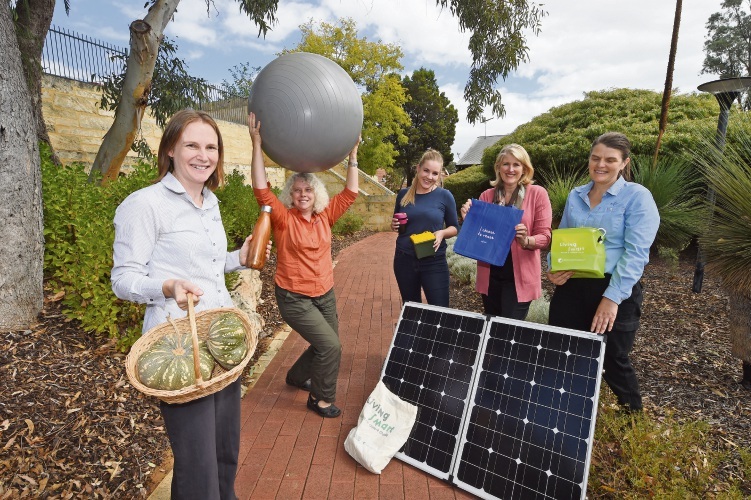 “The Living Green environment series is a fantastic initiative to meet people in the community and learn practical ways to live a more environmentally sustainable lifestyle,” she said. “We are fortunate in Kwinana to be surrounded by nature, and this initiative encourages the community to get involved in a way which suits their own interests and lifestyle”. Visit www.facebook.com/cityofkwinana or visit the City’s events website whatson.kwinana.wa.gov.au.